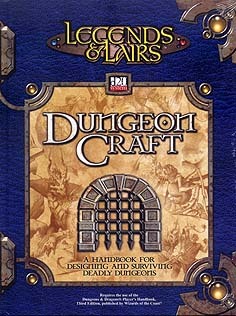 The definitive d20 System resource for dungeon design and survival. New rules for characters adventuring in dungeons, including prestige classes feats, equipment, and dungeon tactics and survival tips. Detailed guidelines on the role of magic in dungeon adventures, along with a host of new spells and magic items. Comprehensive rules for environmental hazards and random encounters. A complete, step-by-step dungeon design system. New rules for monster morale and the social geography of dungeons. Several unique encounter areas, such as the Chamber of Winds and the Machine.